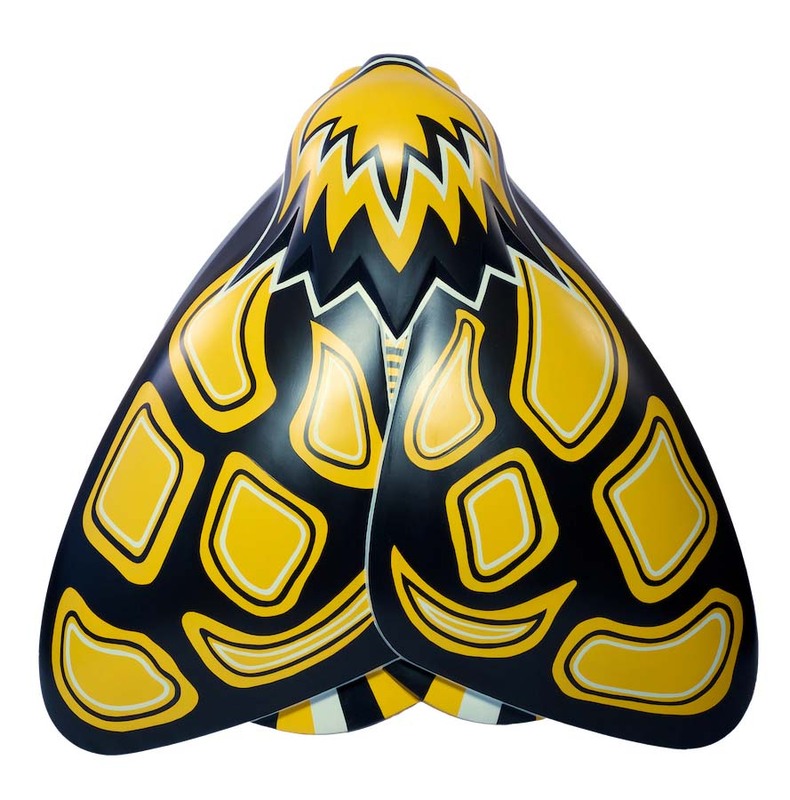 This moth is based on the Australian Tiger moth, native to Queensland, where pioneering aviatrix Amy Johnson arrived in 1930. Johnson made the epic journey in a de Havilland designed DH60 Gypsy Moth. De Havilland’s interest in different species of moths led to the naming of many of his designs. This non-striped local moth would be likely to have welcomed Amy after her 11,000 mile journey. Jo Cruickshanks is a visual artist whose practice focuses on awareness of environmental issues, regeneration and education. Before arriving in Australia in the mid-1980s, she studied fine art at the Hull School of Art and Design. Jo’s interest in art is in raising awareness of environmental and social dynamics, the link between politics and aesthetics, and the creation of artwork that can be both aesthetically and socially effective. The University of Sheffield was established in 1905 and today is home to 27,000 students. The University is a member of the Russell Group of leading UK research universities, and is widely recognised as a leading research and teaching facility across the world. Amy Johnson studied at the University, graduating in 1925 with a degree in Latin, French and Economics.